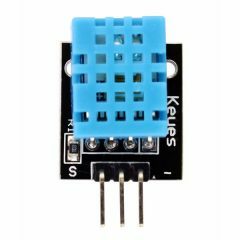 KY-015 Arduino temperature and humidity sensor module, provides a digital serial interface to measure humidity and temperature. 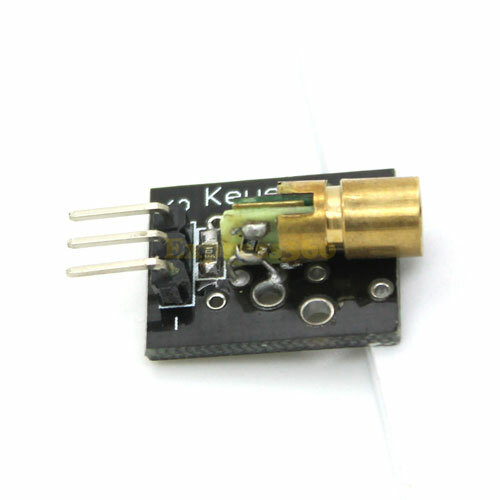 This module consist of a DHT11 digital humidity and temperature sensor and a 1 kΩ resistor. The DHT11 uses an internal thermistor and a capacitive humidity sensor to determine environment conditions, an internal chip is responsible for converting readings to a serial digital signal. Connect the Power line (middle) and ground (-) to +5 and GND respectively. 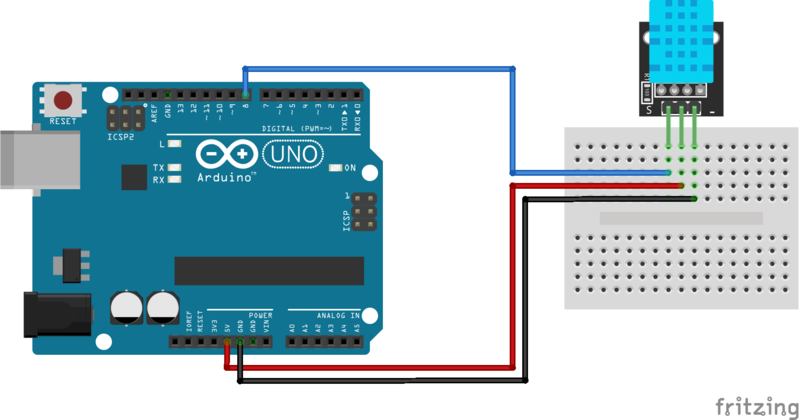 Connect signal (S) to pin 8 on the Arduino. The following sketch uses pin 8 on the Arduino to serially send and receive data from the KY-015 sensor. Serial communication is archived by sending specific high/low signals to the sensor and waiting for a response. Temperature and humidity data is read bit by bit and returned as an array of bytes. Fritzing Part: KY-015 Temperature and Humidity Sensor Module. DHT11 temperature and humidity sensor datasheet. Hi, thanks for reporting the bug! I updated the code and it should work now. I even let a friend try to ensure it´s not my device or my network causing the issue.